We've got a brand new trailer today showing off DJ Hero 2's multiplayer modes. Only one of those modes is a co-op mode and this time, instead of a guitar and turntable combo - we have two turntables and a microphone. This party style mode allows drop in and drop out play and looks like it'll be a solid addition to the game. Speaking of additions to the game, world famous DJ, DJ Tiesto will be lending is likeness and talent to the game - adding to an already impressive roster of DJs and vocal talent including Deadmau5, David Guetta, DJ Qbert and others. 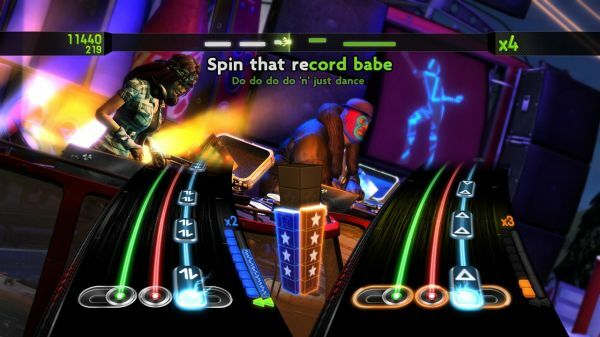 DJ Hero 2 is set to launch on October 19th on the Xbox 360, PlayStation 3 and Nintendo Wii.